/Enterprise Integrations /Analytics & Reporting /How Do I Integrate Pingone? MangoApps integration with PingOne lets your users log into MangoApps with the same credentials that they use to log into other cloud-based apps. 2. Click on the check box “Allow SAML based federated login for the domain?”, select PingOne from the list of providers and enter the values stated below from your identity provider i.e. PingOne in this case. 3. Get Identity Provider EntityID. 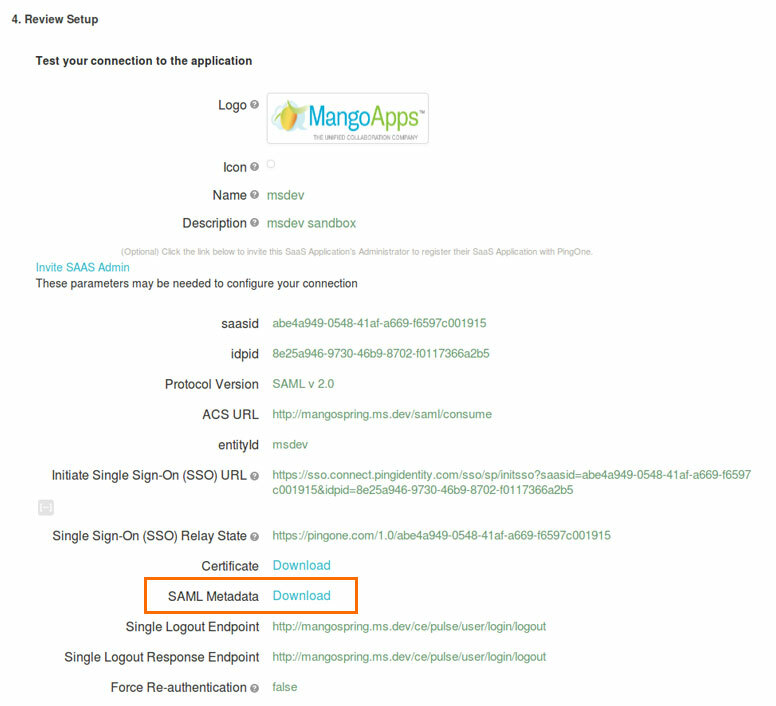 This is the URL from where all SAML requests have to be issued in order to be trusted by MangoApps. Your Identity Provider should give you this URL. SAML requests from other URLs will be not be trusted and hence ignored. 4. Get Identity Provider Single Sign-On URL. This is the URL that MangoApps will invoke to re-direct users to your identity provider. 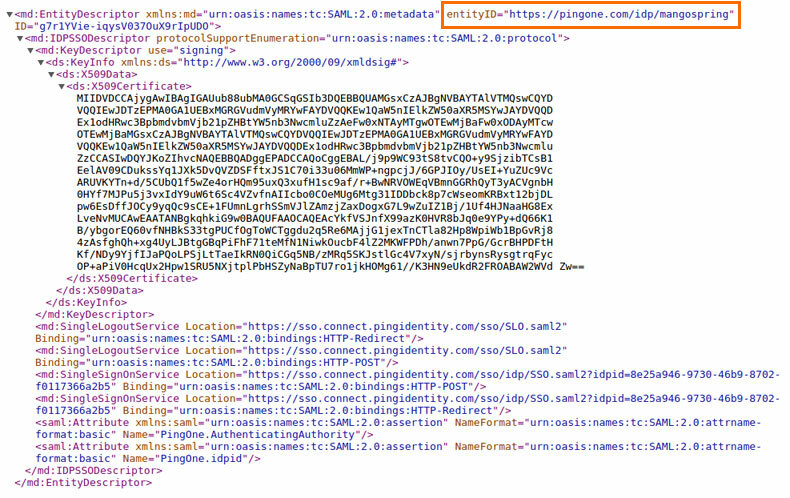 Note that our Assertion Consumer Service (ACS) URL is https://domainname.mangoapps.com/saml/consume. 5. Get Remote Logout URL. This is the URL that MangoApps will redirect your users to after they log out. 6. Get X.509 Certificate SHA1-Fingerprint. The x509 certificate is for authenticating your Identity Provider. 7. Click “Save”. This will confirm SSO for all network users on your MangoApps domain. With the configuration complete, PingOne and MangoApps should be connected through SAML!